A classroom built for kids and adult classes. Classes offered include Dance, Music, Kids Yoga, Pre-School Prep, Drumming, Baby Sign Language, Music and Movement and more. When classes are not being offered, the room doubles as a sensory room. 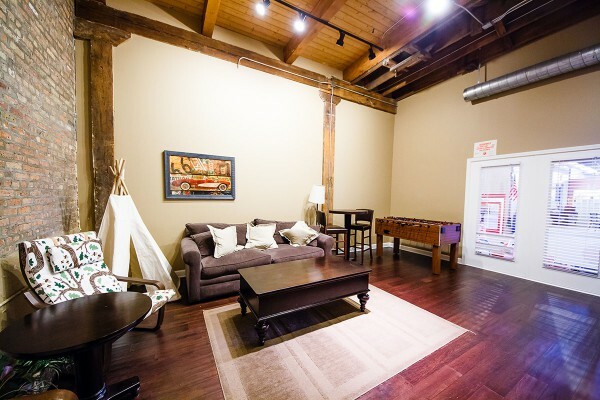 The lounge is a great place for parents to enjoy a little quiet time or to hang out when the game is on. We also use the lounge for focus groups, semi-private parties, co-working days, music and activities and more.